I was watching the Super Bowl Sunday night and enjoying the release of the new movie trailers coming during the commercials. Then, there was a trailer for a new Cloverfield film on Netflix. Cool. 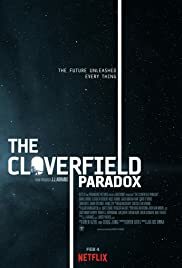 I didn’t know that Netflix was going to have a new Cloverfield movie, The Cloverfield Paradox. I was a fan of the first two films so I was excited to see the new film whenever it would come out. Then the news broke. It was debuting on Netflix that night, as soon as the Super Bowl was over. As a marketing ploy, this idea was pure genius. Tease a popular film franchise’s next entry in the series in front of the biggest viewing audience of the year, and then roll it out immediately afterward. Just brilliant. So I, like I am sure many people, at the end of the Super Bowl, made my way to Netflix to watch the movie. Again, I am sure that this stunt brought way more eyes on The Cloverfield Paradox than ever would have seen it in any other way. Certainly, if this film had been released in the theaters, there would be a much greater chance that it was going to fail. Here, Netflix introduced a brand new way to present their material. It was a monumental way to maximize the release. The film was an okay, fairly unoriginal science fiction story that featured pieces from other science fiction movies that we have seen before such as Life and Event Horizon. Much like 10 Cloverfield Lane, there is little connecting this movie to the original film until an image at the very end. In fact, it could easily have been filmed as a completely different movie and made to fit the idea of Cloverfield after filming was over. The crew of the Shepard i in orbit around earth in search of a new source of energy for a planet struggling to find energy and on the brink of war over it. The crew has plenty of questions about each other, doubting the motives of crew members. Lead by Hamilton (Gugu Mbatha-Raw), the crew ignited the controversial Shepard in an attempt to save the earth. However, shockingly, when the space station stops, it seems as if the earth is gone. The cast of this film is pretty strong. Mbatha-Raw does a great job leading the cast as Hamilton. We also get Daniel Brühl as Schmidt, David Oyelowo as Kiel, Chris O’Dowd as Mundy and John Ortiz as Monk. Each of these actors bring a strength to the role that helps to elevate the material higher than it might have been with lesser actors. The story has some good elements to it. I found myself compelled enough to stay up and watch it after the Super Bowl. True, some of the science fiction elements are not explained much, but that did not bother me much. In fact, much of the previous Cloverfield movies lacked some explanation so it did not bother me. When a severed armed started writing on its own, I did not find it a problem. I actually thought that was neat and had some of the funnier moments of the film. I will admit that the film has a definite feel of a B movie, and not a film that you might see in the theaters. It feels like it found an appropriate home on Netflix. I know that Netflix is wanting to move into more serious movies, and this one would be a step back from, say Mudbound. However, if I found entertainment here, albeit, not a ton of depth. In the end, as a fan of the previous Cloverfield movies, I have given this a pass. Not only because I enjoyed watching it for the most part but also because the fact that Netflix may have changed the way business is done.